BEIRUT (Sputnik) - An exhibition of photographs by finalists of the Andrei Stenin International Press Photo Contest, organized by Rossiya Segodnya International Information Agency under the sponsorship of the Commission of Russia for UNESCO, opened on Monday in Beirut at the Russian Center for Science and Culture (RCSC). Beirut became the fifth stop of the Stenin contest's international tour after UN headquarters in New York, Moscow, Cape Town and Shanghai. 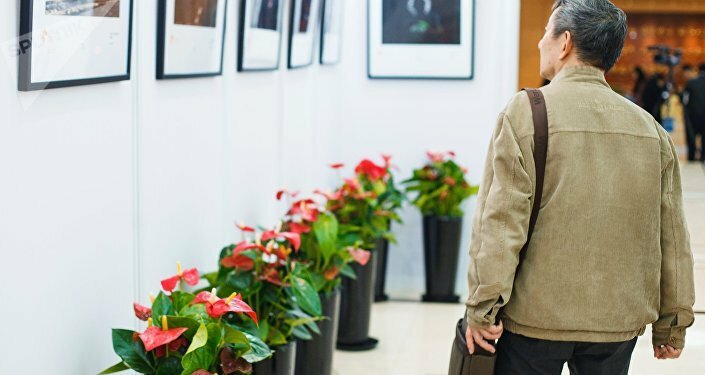 After the capital of Lebanon, the exhibition will go to Brussels and Madrid, visit the city of Weihai in northeastern China and other cities of the world. 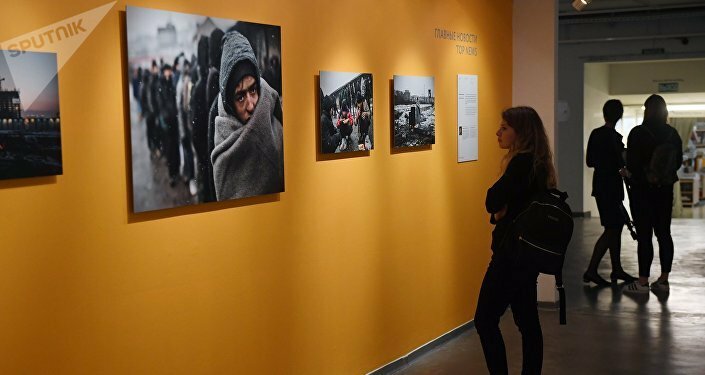 "It is very important to note the symbolism of this exhibition, which is held for the second year in Beirut in our cultural center, thus repeating the path of the Russian photojournalist, who always chose Beirut as a transit hub before being sent to Syria for editorial tasks," the head of the Russian foreign cooperation agency Rossotrudnichestvo office in Lebanon, Vadim Zaichikov, said. He expressed hope that sooner or later, the exhibition will take place in the Syrian capital of Damascus. Andrei Stenin has repeatedly worked in Syria in the most intense years of the crisis. His camera witnessed the tragic events of the seizure of the Christian city of Maaloula near Damascus, and he was the first photojournalist who managed to get to Aleppo besieged by terrorists and take the first pictures from inside the citadel of the city. "Andrei’s heritage is priceless, it inspires thousands of young authors. This year, the competition set a new record for the number of participating countries — almost 6,000 works from 77 countries. At the exhibition of winners of the competition that we open today, you will see 67 works by young reporters from Russia, Iran, Iraq, India, Spain, Italy, South Africa and other countries," director of the Rossiya Segodnya photo department Alexander Shtol said, addressing the guests of the exhibition. He drew special attention to the "How I Fell Ill" photo-series of the Russian journalist Alyona Kochetkova. "This is a concise and deep narration about the spiritual and physical overcoming of fear and pain, giving people the strength to live. The humanistic message of these photos is obvious and was praised by the international jury, getting the highest award of the competition in 2018 — Grand Prix," Shtol stressed. The Andrei Stenin International Press Photo Contest for young photojournalists is named after a photo correspondent of the Rossiya Segodnya International Information Agency who was killed while on assignment in conflict-torn eastern Ukraine in 2014. In 2018, the contest jury included representatives from the world’s leading news agencies: AFP (France), Anadolu Ajansi (Turkey), Notimex (Mexico), as well as world-class photographers and editors. The contest’s general information partners include the news website Vesti.Ru, the Russian state Rossiya-Kultura TV channel, news website ZhurDom and the Russian Photo website. International media partners include Sputnik News Agency and Radio, Askanews news agency, Independent Media holding, Notimex news agency, RT TV channel and news site, The Royal Photographic Society, Shanghai United Media Group (SUMG), news agency ANA, TeleSUR international informative multiplatform, China Daily web-site, Frontline magazine, The Philippine News Agency, AlYoum AlSabee, The Paper, Radio Republik Indonesia, BERNAMA news agency, Al Mayadeen. Industry media partners include the Academy of Photography, GeoPhoto agency, Photo-study.ru educational portal, the Union of Journalists of Moscow, the Union of Art Photographers of Russia, Young Journalists information portal, School of visual arts. International Exhibition partner — PhotON Festival.